We're just about a month away from the OHS Sports Hall of Fame's largest (and only) fundraiser of the year. This year marks the 22nd annual 18-hole golf scramble at Riceland Country Club. This year's event will take place on Sunday June 9th with registration beginning at 7:30am & a shotgun start at 8am. Click here for all the info on the event. The funds raised from this event help go towards funding two $1,000 scholarships to a deserving male and female OHS senior at the Senior Assembly in May. Contact AD Kent Smith for registration (see the flyer for contact info). 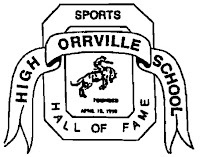 As another reminder, the next biennial OHS Sports Hall of Fame induction is set for September 14, 2013. It's never too early to consider nominating someone for induction. Here is a link for the nomination form. I mention this every year, but I'll repeat myself again...if someone isn't nominated, they can't be inducted. If you know of a classmate, friend or family member who is deserving of induction, take the first step of nominating them. You don't need to have a complete list of every accomplishment during their high school career, just some basic information. The more information the better, obviously, but at least get the form in and get them on the list for consideration. For a complete list of inductees, including the class most recently inducted in 2011, click here. Both the induction form and the list of inductees can be found under the 'Booster Club' tab at the top of the page. 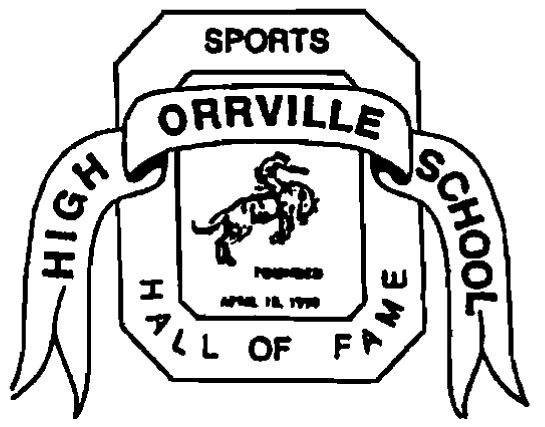 Hope to see a big group of golfers at Riceland on June 9th supporting the preservation of Orrville High School's rich athletic history.